Sea Cottage 21 - Mossel Bay Accommodation. Sea Cottage 21 is a three bedroom duplex unit in a security complex on the beachfront of Diaz Beach between Hartenbos and Mosselbay on the Garden Route. The immaculate white sands and swimming beach stretches for several kilometres. The ground floor has a patio with table and chairs, an open plan kitchen and sitting room with TV, hi fi and dstv. The kitchen is fully equipped with fridge/freezer, stove, microwave and water purifier. Ground floor has a full bathroom with toilet, shower, bath and basin. The bedroom has two single beds and its own entrance. The top floor has a bedroom with double bed and en-suite bathroom with shower, toilet and basin. There is a small storage room. The bedroom goes out on a deck with lovely sea view and view on Robisland. There is a table and benches on the deck. The unit has a third room on the ground and separate from the house. It has a double bed and en-suite bathroom with shower, toilet and basin. The unit has a washing machine and air conditioner as well as a outside braai. There are save undercover parking for two vehicles underneath the deck. The unit is about 40 meters from the beach with controlled access. The complex also has controlled access and has a sparkling swimming pool. Dstv and electricity included in tariff. We supply linen and bath towels, please bring your own beach towels. 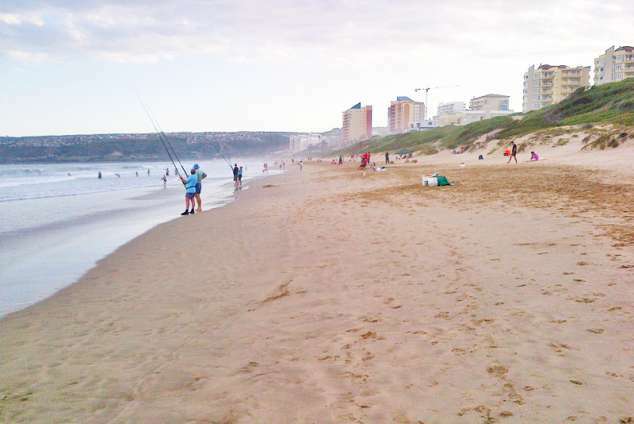 Diaz Beach is ideally located, 5 min drive from Hartenbos and 5 min drive from Mosselbay and about 20 min drive from George airport and about 30 min to George mall. Oudtshoorn, the Congo caves and ostrich farms are only 70km away. Medical facilities within 5km. An indoor warm swimming pool, super tube, cocktail bar and restaurant are walking distance from the unit. The casino, golf courses, Langeberg mall and other restaurants and fast food outlets is within 10km range. Botlierskop and other game farms are within 20 km range. Facilities for horse riding, hiking trails and quad biking are also in close vicinity. In peak season there are a number of activities on sea, parasailing, boat cruises to Robisland ,live entertainment and much more. 14935 page views since 09 Jul, 2015.